I'm not generally a big fan of the no-frills discount stores, but I do think two (in this area) have really set themselves up for success by being a little better and/or different. In my opinion, those are Price Rite and Aldi. Price Rite is the discount end of Wakefern Food Corporation, the corporation that runs the ShopRite cooperative. According to their website, they offer "impossibly, incredibly, inconceivably low prices everyday," but I think their real strength comes from not just focusing on the cheap, sodium and fat-filled canned goods, frozen foods, and packaged goods most discount stores sell. 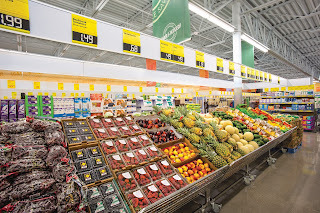 Sure, Price Rite sells these - as does just about every other supermarket - but because of their comparatively larger store sizes, they also have the space to offer more fresh options. This image is from an article about the grand opening of a Price Rite from universalhub.com. As the article says, Price Rite has no service departments, but they do have a large produce section and focus on fresh meat as well. They also take into account the community they serve. I've heard Price Rite very accurately described as a hybrid discount-ethnic store. 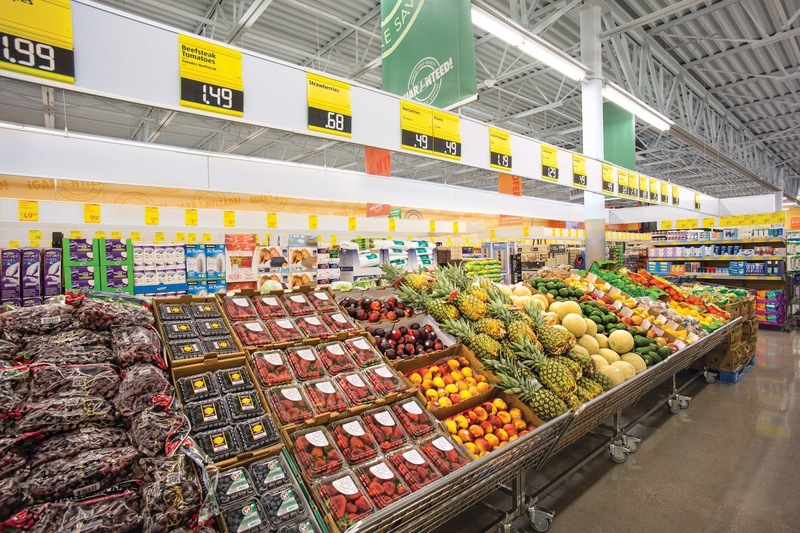 Unlike many discount stores, Wakefern has put its demographic-specific know-how to use with its Price Rite stores and figures out what is demanded in the neighborhood. Then, they can offer those products at low prices. Price Rite stores are traditionally in areas where ShopRites aren't, very logically - Wakefern doesn't want to compete with itself. However, in recent years, there has been overlap between ShopRite and Price Rite, inevitably, as ShopRite expands out and Price Rite expands in. Price Rite stores are also traditionally corporately owned and operated by a wholly-owned subsidiary of Wakefern known as PRRC, or Price Rite Retail Corporation. However, Price Rite's two New Jersey stores are owned independently: Garfield, NJ (a former A&P) is owned by the Inserra family; Camden, NJ (a former Pathmark) is owned by the Ravitz family. Aldi is owned by Aldi Süd, a Germany-based corporation that also operates stores in many other countries worldwide. To clarify a common question, Trader Joe's and Aldi are not owned by the same corporation, but originally by different branches of the same family. Today, the two corporations are only loosely related. Trader Joe's is owned by Aldi Nord. These two images are from Aldi's website. Aldi's stores are generally on the smaller side but feel large with high ceilings and polished concrete floors. Aldi is much stricter about the appearance of the exterior of their stores than Price Rite, who is willing to move into just about any open space that's the right size. 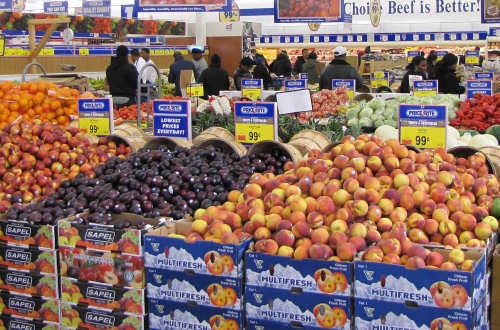 Like Price Rite, Aldi offers a fair amount of fresh produce and meat (although Price Rite does offer far more). However, Aldi does not focus on ethnic foods at all. When you look at these stores from a marketing perspective, there are many factors that influence people's decision to shop there. Save-A-Lot, a very low-end store (that I don't like at all), is successful because people who shop there don't really have another choice - either there just isn't another supermarket, or it's too expensive. Price Rite draws a wide range of customers, but mainly those who live in the nearby area and prefer the low prices and no-frills atmosphere. Aldi, on the other hand, draws in a marketing concept called social desirability. It is based on the idea that people make decisions because they think about what other people will think of that decision. Aldi is considered a "cool" store to shop at (by people with more money) in a way that Save-A-Lot and Price Rite aren't. "I buy my clothes at Shoppers World." "I buy my clothes at Kmart." "I buy my clothes at Marshalls." There is a certain "coolness" that Marshalls has, that the other two don't - even though they are all discount stores! Aldi has figured this out and appeals, strangely enough, to people with more money. PRICE RITE: Camden, NJ; Schenectady, NY; Syracuse, NY; Reading, PA; Bethlehem, PA; Allentown, PA.
ALDI: Union, NJ; Bloomfield, NJ; Clifton, NJ; Rockaway, NJ; North Bergen, NJ. The Price Rite stores are located IN cities. They appeal mainly to people living in these cities, which tend to be lower-income areas. The Aldis, however, are located just OUTSIDE of cities. They're not IN Elizabeth, Newark, Passaic, Dover, or Union City, they are in Union, Bloomfield, Clifton, Rockaway, and North Bergen. This way, they can be used by both people living in the cities (which again, tend to be lower-income areas), and people living in the suburbs (which tend to be higher-income). That's not to say other discount stores don't have their strong points. Save-A-Lot, for instance, just knows where to open where there is little or weak competition. Grocery Outlet Bargain Market, which seems to be slowly expanding on the east coast, focuses on selling exclusively name-brand products. 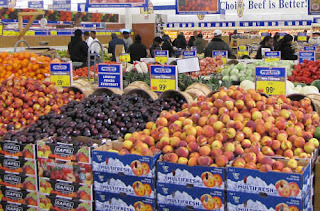 And the one-location Food Fair Wholesale Fresh Market in Spring Valley, NY, is a 30,000-square-foot warehouse-style grocery store that sells huge selections of ethnic foods and fresh products. Western Beef is very similar, but a warehouse store, not a discount store. Not to mention both Food Fair and Western Beef have full service departments! And Buy Rite Liquidators focuses on offering groceries in rural areas of Pennsylvania that don't otherwise have grocery stores. So everyone finds their own place in the market. But I think Aldi and Price Rite have the most potential going forward, in this competitive market. Not that they add much . 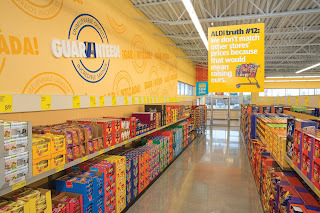 . . but here are my pictures of the newly-built Aldi in Bloomfield, NJ.